A comfortable and well designed kitchen with wooden hand built units, a large work space between the kitchen and the dining area, so plenty of room to chat sociably while preparing a meal. 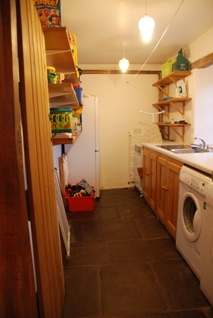 There is a Belfast sink,double electric oven, a halogen hob, fridge, microwave, and plenty of work and storage space. 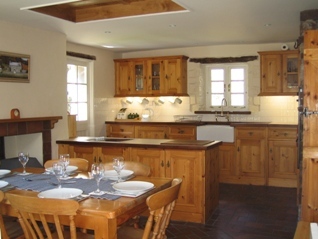 The kitchen has a wealth of features including a woodburning stove. 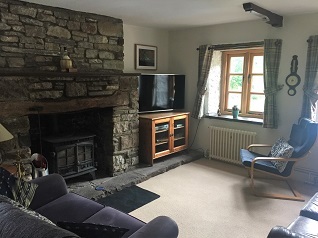 The living room has a host of features from a spiral stair case to a feature fire place which includes a multi fuel stove. 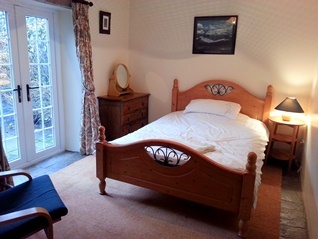 A spacious light and airy large double room with 4 windows over looking the gardens with adjoining en suite bathroom. 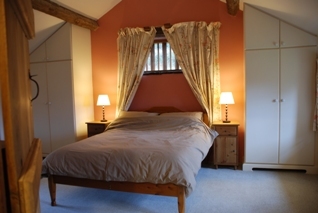 This bedroom has 2 single beds and a feature fireplace. This bedroom shares the bathroom with bedroom 3. 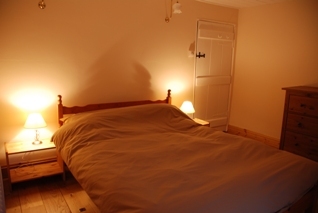 This bedroom has a double bed and ample space for a cot. This bedroom shares a bathroom with bedroom 2. 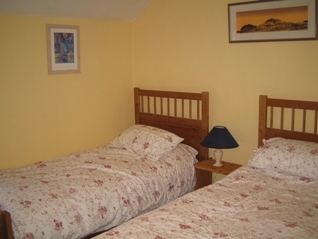 Bedroom 4 is located on the ground floor and has a double bed. This room has a french doors that open onto a patio area. A shower room adjoins this room. This bathroom has wonderful views up the valley towards the limestone escarpement where one of europes largest cave network exists. The bathroom consists of wash hand basin, toilet and bath. Note Bedroom 1 has an ensuite bathroom and is considered bathroom 1. 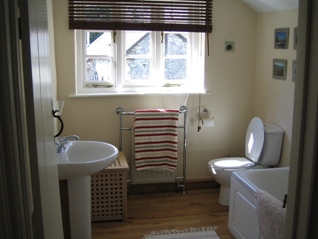 This bathroom is located downstairs, close to bedroom 4. 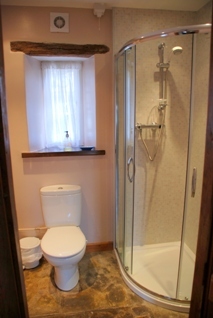 The bathroom consists of wash hand basin, toilet and shower. Note Bedroom 1 has an ensuite bathroom and is considered bathroom 1.